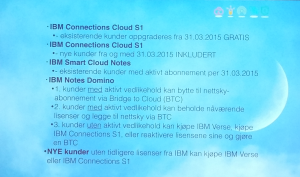 Wednesday February 11th I attended the Norwegian IBM User Group (ISBG) meeting in Oslo, hosted by Symfoni. IBM presented some interesting news, both about IBM Notes/Domino, as well as a major push in getting out into the market again. IBM Norway was there telling us about upcoming products and plans. They are planning to host breakfast seminars in several Norwegian cities in the coming months. They want to meet new customers, as well as communicating with existing ones. The new ones will be introduced to IBM’s solutions (IBM Connections/Sametime/Verse/Domino etc) and the existing customers will be given the chance to communicate. And this communication will not just be with IBM, this will also be a good opportunity for IBM customers to meet up with each other and exchange experiences, problems, information, tips and so on. This is something we IBM customers feel have been lacking for years and years and years. Hopefully this signals a new push from IBM. According to IBM Norway, they will soon publish their new roadmap about Notes/Domino. This will tell us what to expect for the platform in the future. Last year IBM and Apple announced that they were in cooperation about apps for businesses, a market Apple has struggled to get a foothold in. IBM will, with the help of technologies like Watson, create tools for analyzing big data. This in addition to the gathering of live data. Apple will be making the design and GUI. 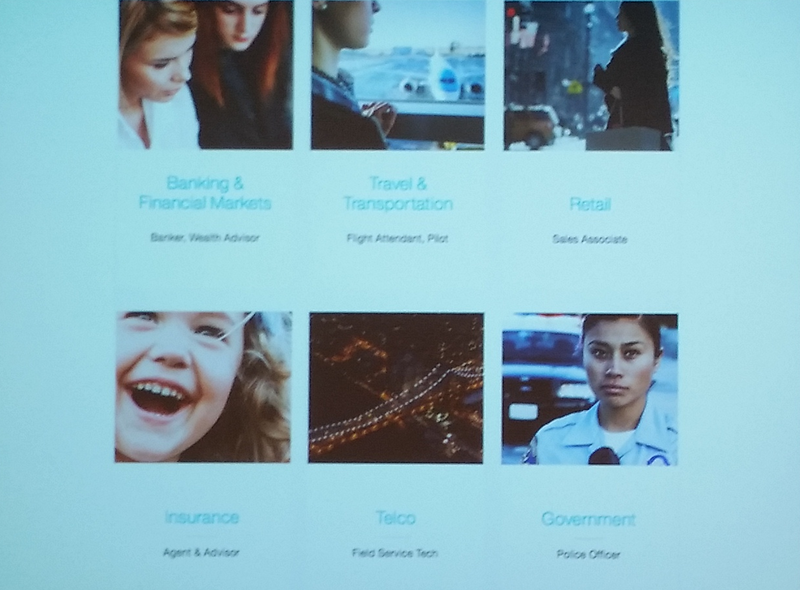 Every quarter there will be a release of new apps, for various types of businesses. We got a demo of an app created for the police. The officer logged on with his Ipad when her shift started. She would then see all police actions in progress that is nearby. In addition she will also be able to call for help via the app, as well as receiving requests herself. If she is called out on an assignment, she can use the app to connect to surveillance cameras in the area where a situation is in progress. She can then assess whether she should call for backup or not. After lunch, Tore Sørgård from the company Geno gave a review of IBM Connected. He was positive to Verse, but skeptical to the fact that Sametime is hard to administer and is flawed, and that IBM was only about cloud, while their customers were not. After this I gave my own presentation. I talked about Brunvoll, which a lot of people liked because they think our thrusters are cool, and then I spoke about the plugins for IBM Connections. I did a big presentation on how to install, create settings for and how to use the plugins for Microsoft Office, Windows Explorer and IBM Notes. I also talked about how you can make the plugin your own. After that, and during he breaks, we mingled, talked, discussed and exchanged contact information. These bits are also very valuable. Next ISBG conference is in May. See you then!